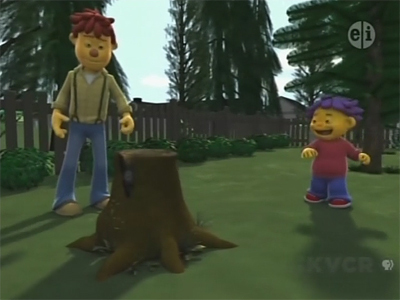 Sid the Science Kid Season 2 Save The Stump! Sid is super excited because his Dad is clearing out space in the yard for a basketball court! While Sid and Dad are surveying the land, Sid notices a big stump teeming with little creatures! During a special field trip to The Science Center, Sid and his friends discover that there are animal habitats all around us, even in old stumps, and if one habitat is destroyed, all of the other habitats and animals are affected.